David Abel visited the Kelly Writers House recently in order to record his poems for PennSound (his PennSound author page will be available soon), to check with us about our progress in digitizing a box of rare recordings on cassette he has given us for adding to the PennSound archive, and to participate in a recording session of PoemTalk (on a poem by Muriel Rukeyser), to be released later. Among the cassettes are readings by David Rattray and Gene Frumkin. 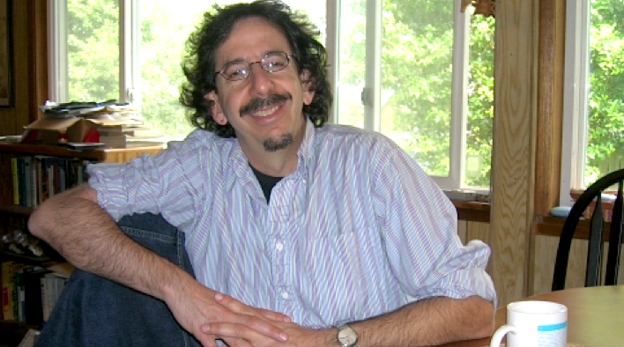 Al Filreis spoke with David about his own poetry (particularly in Float, published by Chax in 2012), about his work as bookseller, convener of poetry communities (through readings series, etc. ), librarian, and editor/publisher. They also discussed the poems and lives of Rattray and Frumkin. The interview was engineered and then edited by Zach Carduner.